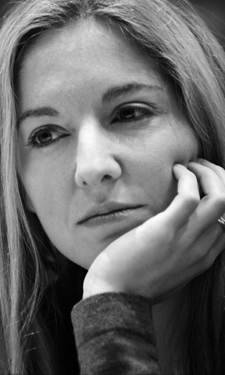 Victoria Coren Mitchell - Blog - Remember 1995? I looked at that one for quite a while, slightly baffled. Then I realized that it is in fact an original, opinionated take on Ryanair’s new “charge for the toilet” policy; with the aid of a good sub, Rangers Man could be up there with Will Hutton and David Aaronovitch. But the next one is my favourite. The fact that this fellow has sent a text to the Daily Star, waited for it to be printed in the paper, and is now presumably waiting for replies, takes us right back to those forgotten days before the internet; an evocative reminder of the world that once was, from someone who has patently never heard of Google. tobermory, uncle bulgaria, er…the french maid and wasn’t there one called flute or something? yes i know you didn’t ask for all the wombles’ names, but you knew this would happen! Funny but even before I got to the end of the text by Rangers Man, not only did I know it was a Glaswegian but I also knew the team he supported! ‘uncl blgria, Tobmry, o’noco, Bngo, tmsk, wllngtn, mdm chlt. ’ Wil, no doubt, be winging it’s way as a response to Stv da Cbe. Although life without the Internet now seems akin to retreating into caves and banging rocks together to make man’s red fire, I miss the days when knowing all the names of the cars and drivers in Wacky Races didn’t just mean you had an internet connection, it meant ... errr ... well maybe things are better now yes. Steve da Cabbie. No probs bruv, dey were dopey, sneezer, snow white, shy, doc an’ geeza. Bring Text Spelling onto ‘Countdown’; we need to give Jeff even more things to smile about. TV grinning… damned if you do, damned if you don’t. I can see that now John, i’ll have a vowel, another vowel, another vowel, a consonant, one from the middle, one from the top, a consonant and a final consonant. ok thirty second on the clock, go! Wowzers. Clearly that extra “n” in government was just one letter too many for those pesky restrictive limits on texts. An Observer colunmnist dipping into the torrid waters of The Daily Star? Surely this country’s going to the dogs! On a serious note I just heard that the next Queen’s speech will be drafted up in textspeak. Has anyone else got any more updates on this? Many thanks for your fine Sunday column.